Our research group is focused on the study of collective electronic and magnetic phenomena in quantum materials. Searching for new physics, we exploit the unique strengths of neutron and X-ray scattering to probe the organization and the dynamics of matter at the nanoscale. 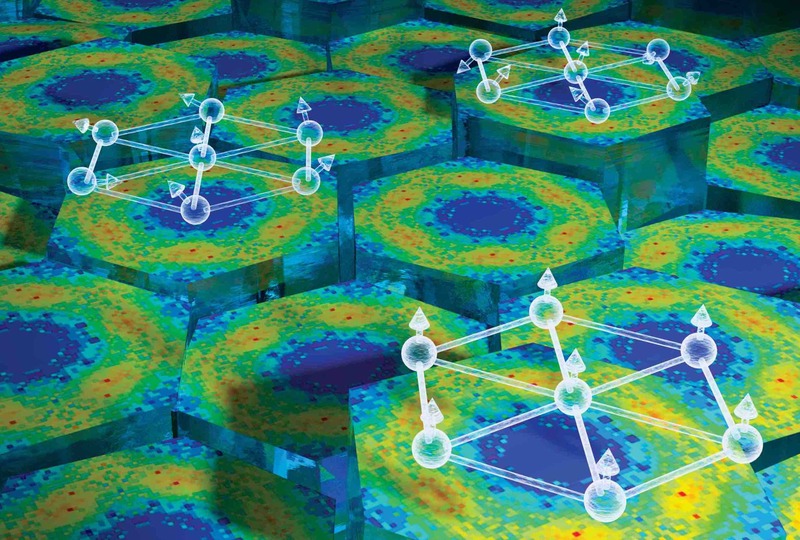 Our research strategy spans materials synthesis and characterization, advanced spectroscopy at large scale facilities, high-performance computing and theoretical modeling. This website is a gateway to our activities, please get in touch if you are interested in our work. Xiaojian's and Joe's work on MgCr2O4 is published in Physical Review Letters! Congratulations to all involved. 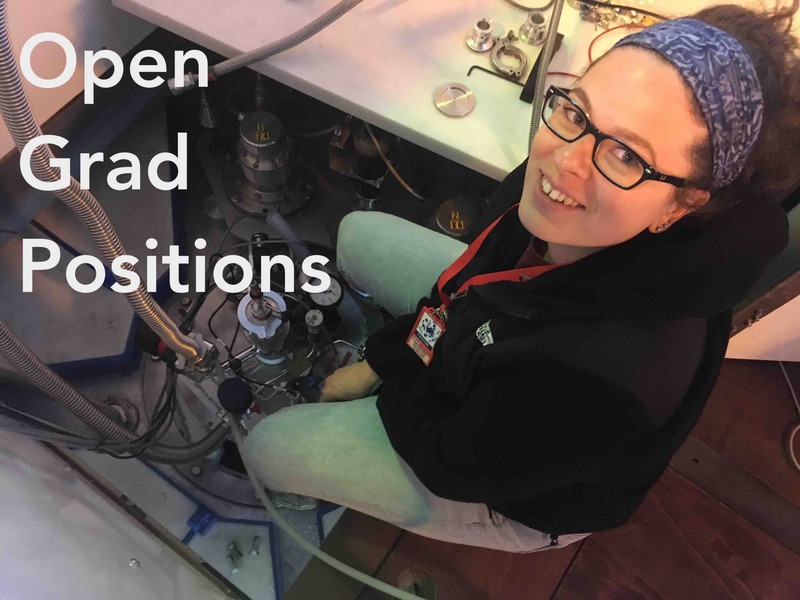 In the academic year 2019-2020, the Mourigal Lab will recruit up to 2 graduate students interested in all aspects of quantum materials research from neutron scattering and theory to materials synthesis and characterization. If you are admitted to Georgia Tech's graduate program in Physics and are interested in our group, please get in touch! 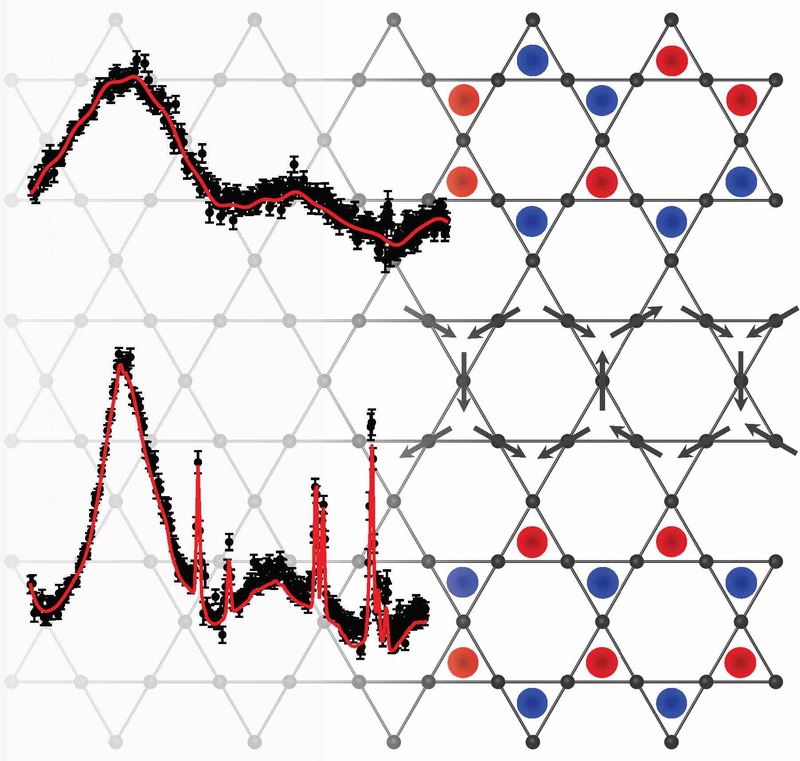 Xiaojian, Joe, and friends' work on the pyrochlore Heisenberg antiferromagnet MgCr2O4 is posted on the arXiv. 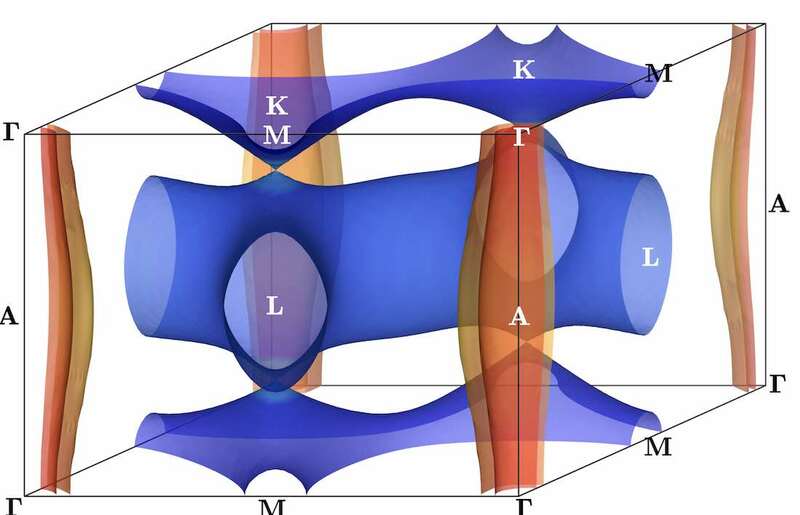 This work merges single-crystal growth, neutron scattering and theory to reveal the nature of magnetic excitations in a classical spin-liquid by mapping the spin dynamics in an entire volume of reciprocal 4D space. 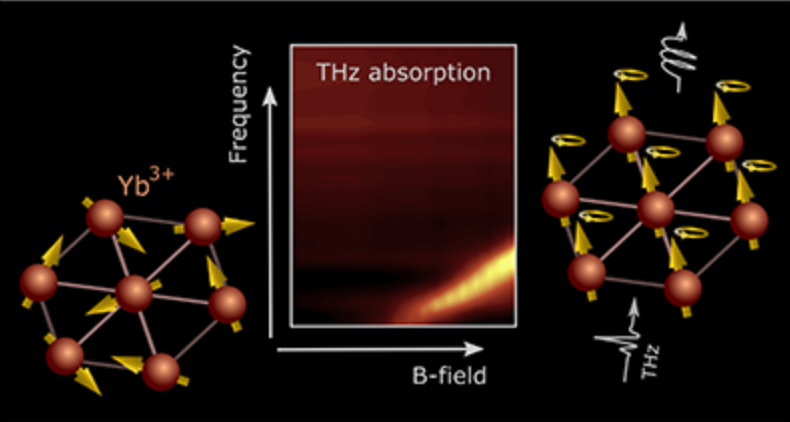 Graduate student Luwei Ge joined forces with Yoshi Kamiya from RIKEN in Japan and Jie Ma from Jiao Tong University in Shanghai to probe and understand the spin excitations of the triangular lattice antiferromagnet Ba3CoSb2O9 in very high magnetic field. Their work is published in Nature Communications! The lab's collaborative work on YbMgGaO4 with Xinshu Zhang and Fahad Mahmood of Peter Armitage's group at Johns Hopkins is published in Physical Review X.
Zhiling, Xiaojian and Joe's work on the quantum kagome-spin-ice candidate Ho3Mg2Sb3O14, in collaboration with the group of Haidong Zhou at Tennessee, is posted on the arXiv. The Department of Energy's Office of Science is now supporting our laboratory through a regular award from the neutron scattering program! 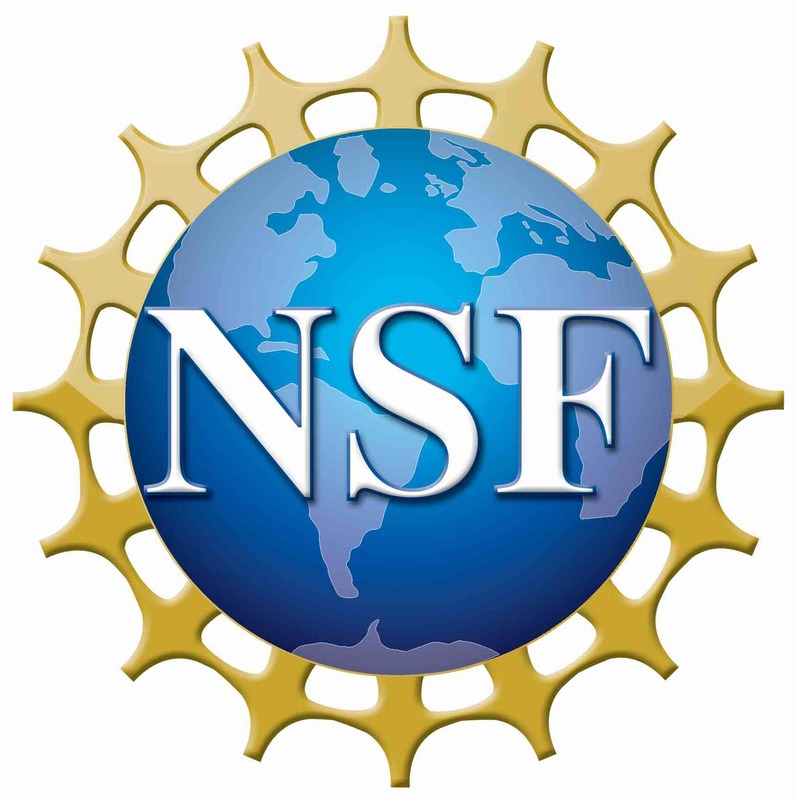 The lab is now supported by the National Science Foundation's Division of Materials Research through a CAREER award! 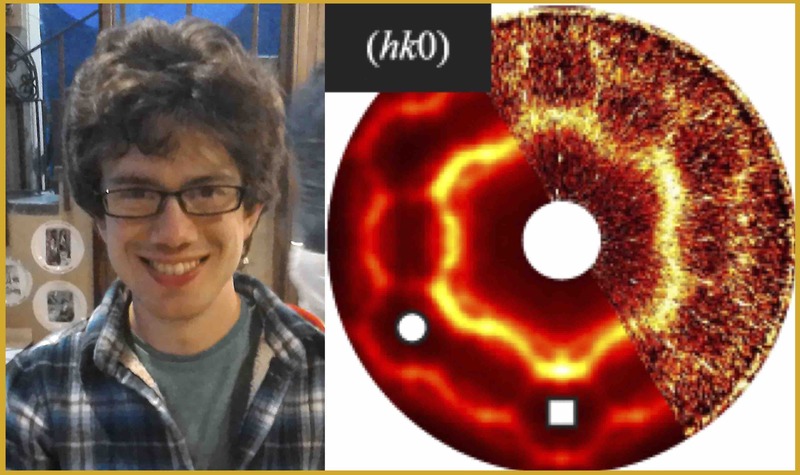 Martin wrote a News and Views article for Nature about the discovery of a new Kitaev-Heisenberg honeycomb magnet H3LiIr2O6. Check it out here. Martin is teaching PHYS 4262 this semester, a first solid-state physics course for undergraduates. Information about the course, lecture notes and homework can be found on Canvas, Georgia Tech's new teaching platform environement. Our collaborative work on coupled spin-1/2 chains with the group of Art Ramirez at UC Santa Cruz is published in Nature Physics. 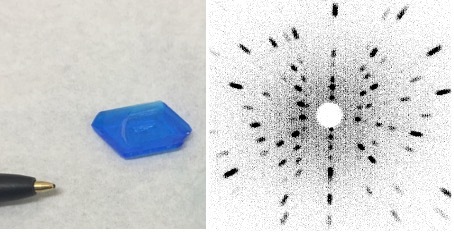 The picture on the right represents nice crystals grown at Florida State using a sol-gel technique by graduate student Lianyang Dong. 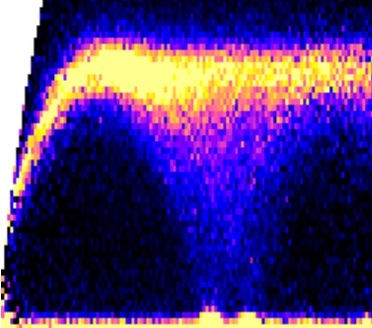 Our combined inelastic neutron scattering and time-domain terahertz spectroscopy work on the high-field excitations of YbMgGaO4 is posted on the arXiv. This work in collaboration with the group of Peter Armitage at Johns Hopkins utilizes both photons and neutrons to advance understanding of a mysterious spin-liquid material. 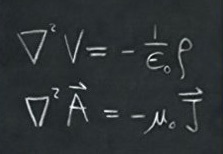 Martin is teaching an advanced undergraduate course this semester, PHYS 3122: Electro and Magnetostatics. Information about the course, lecture notes and homework can be found here. Luwei's work on CoRh2O4 and CuRh2O4 is published in Phys. Rev. B as an Editors' Suggestion, see here! 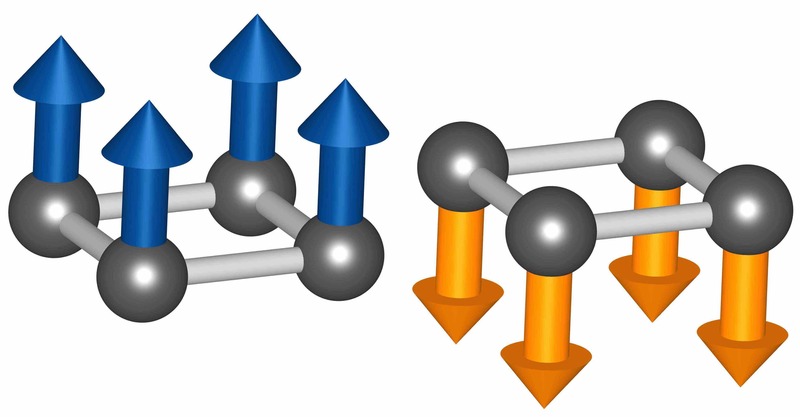 Furthermore, our collaborative work with the Davidovic and Cressler groups on very low-temperature transport in SiGe transistors is published in Phys. Rev. Applied, see here. 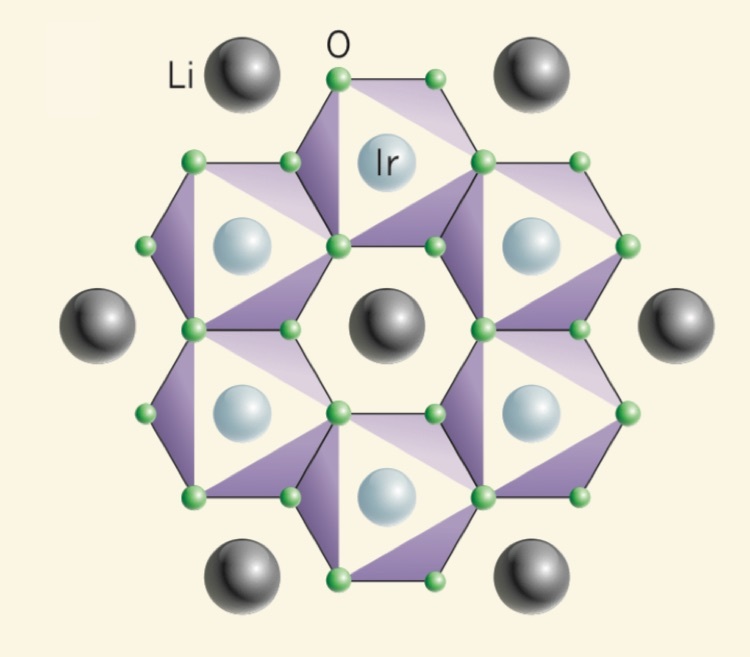 Luwei's work on the diamond-lattice Heisenberg antiferromagnets CoRh2O4 and CuRh2O4 is posted on the ArXiV. 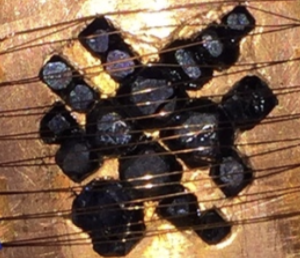 This work, in collaboration with the groups of Mas Subramanian at Oregon State and Art Ramirez at UC Santa Cruz, epitomizes our research strategy by blending materials synthesis and characterization, neutron scattering and theory to understand quantum effects in magnetic matter. Undergraduate student Sai Paladugu discussed his unconditional love for the thermodynamics of spin chains during Georgia Tech's undergraduate research symposium. 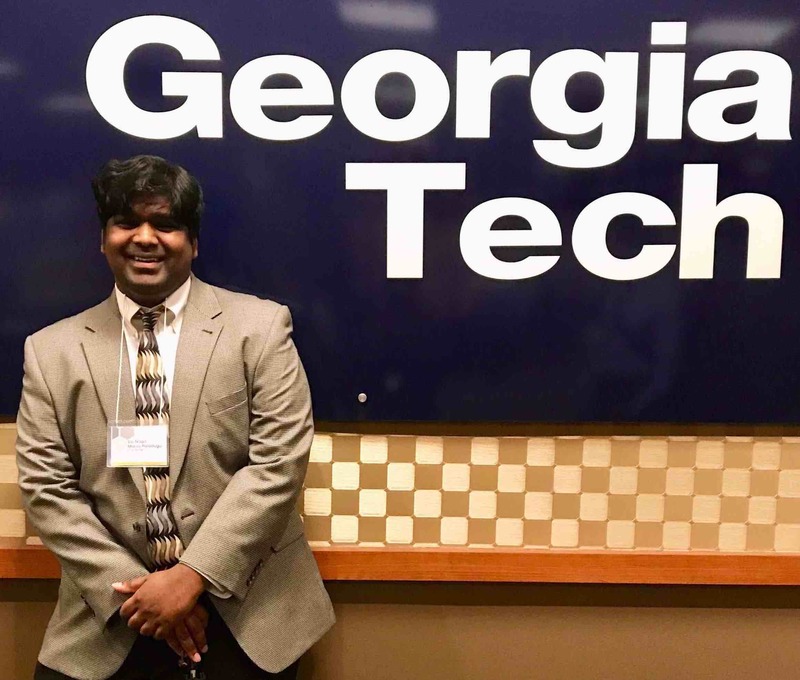 Sai spent the last year in our laboratory and he is headed to the Physics Department at the University of Illinois in Urbana-Champaign for graduate school. Congratulations Sai! Martin gave an invited talk at the American Physical Society's March Meeting in New Orleans, presenting the group's results on the triangular-lattice rare-earth magnet YbMgGaO4. A copy of the slides shown during the talk can be found here. 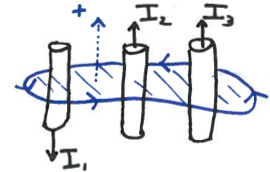 Lecture notes for Martin's class Introductory Electricity and Magnetism (PHYS 2212) can be found here. Course policies are here. Our collaboration with Cambridge University on the kagome Ising magnet Dy3Mg2Sb3O14 is published online in Nature Communications! To learn more about exotic magnetic matter behaving simultaneously like a liquid and like a solid check out the following Research Horizon article from Georgia Tech Communications team. 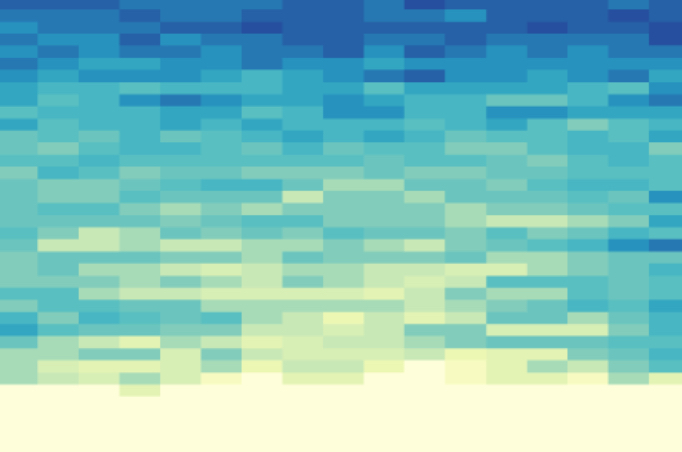 Our work on YbMgGaO4 is published online in Nature Physics. Congratulations Joe and Marcus! Joe and Martin attended the 8th international conference on Highly Frustrated Magnetism (HFM 2016) in Taipei, Taiwan. Joe gave a talk on the discovery of emergent-charge order in the rare-earth oxide Dy3Mg2Sb3O14. Martin presented three posters covering various projects going on in the group. The poster on YbMgGaO4 was awarded a poster prize! 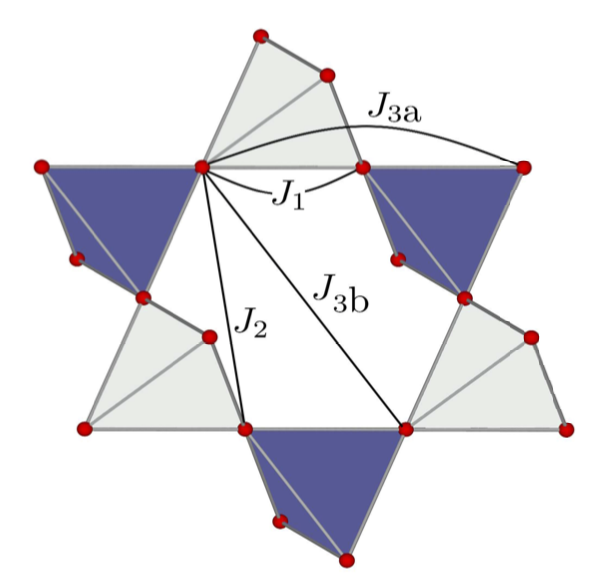 Our preprint on the triangular-lattice quantum spin liquid YbMgGaO4 is posted on ArXiV. 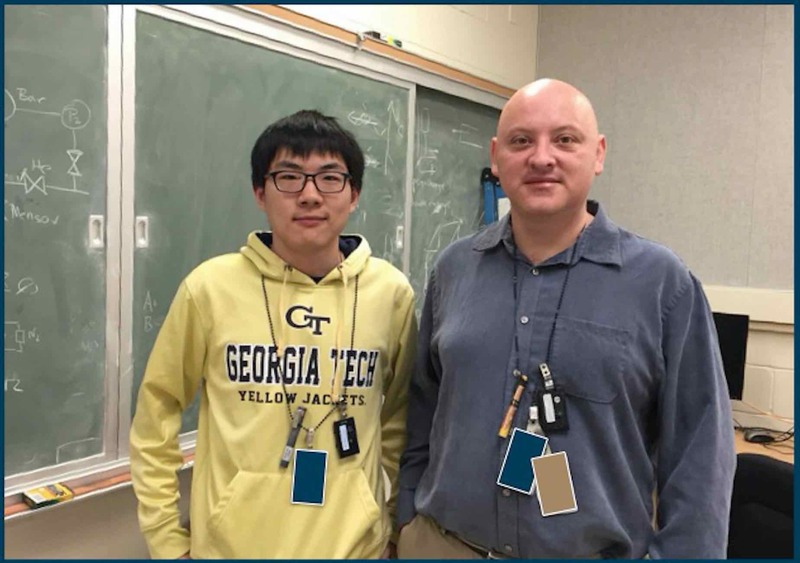 Our single crystal sample was grown by Zhiling Dun and Haidong Zhou at the University of Tennesse and our neutron experiment performed on the CNCS spectrometer at Oak Ridge National Laboratory. 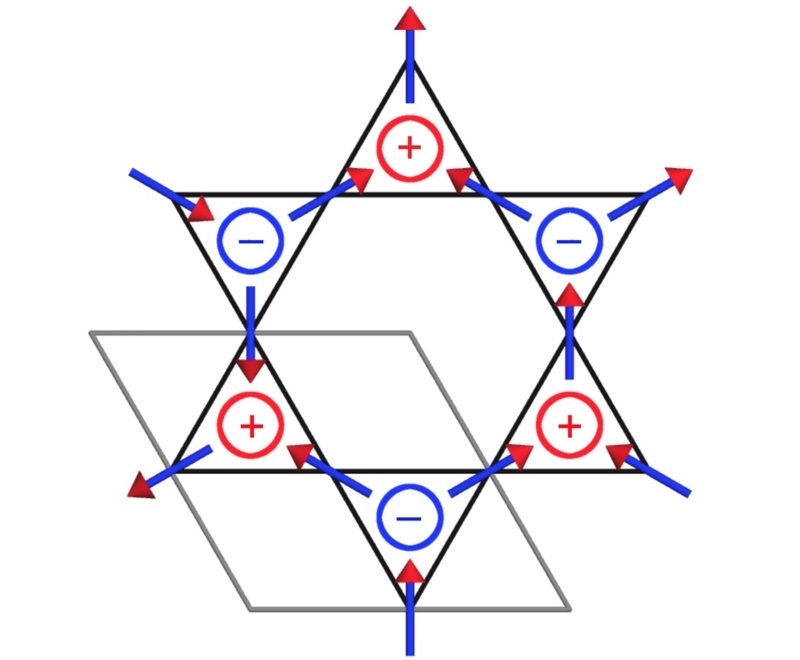 Our preprint on magnetic charge order in the kagome Ising magnet Dy3Mg2Sb3O14 is posted on ArXiV. This is a collaboration with the groups of Sian Dutton and Claudio Castelnovo at the Cavendish Lab in Cambridge. Neutron data was collected on the DCS spectrometer at NIST and the GEM diffractometer in the UK. Our PPMS (Physical Properties Measurement System) welcomed its first external users. 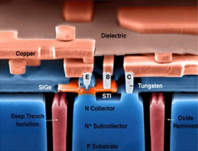 The Davidovic (Physics) and Cressler (Electrical Engineering) groups brought their own electronics to measure electron transport at very-low temperatures and high magnetic fields in their fancy transistors. We now have an operational backscattering x-ray camera in the lab. Single-crystals can be oriented in a matter of seconds, as shown here for a beautiful crystal of copper sulphate. See our lab tour for more information. Martin is teaching Introductory Electricity and Magnetism (PHYS 2212) this semester. Course policies can be found here and lectures notes here. Joseph Paddison, postdoctoral fellow in the group, publishes his graduate work in Science along with collaborators from Europe. 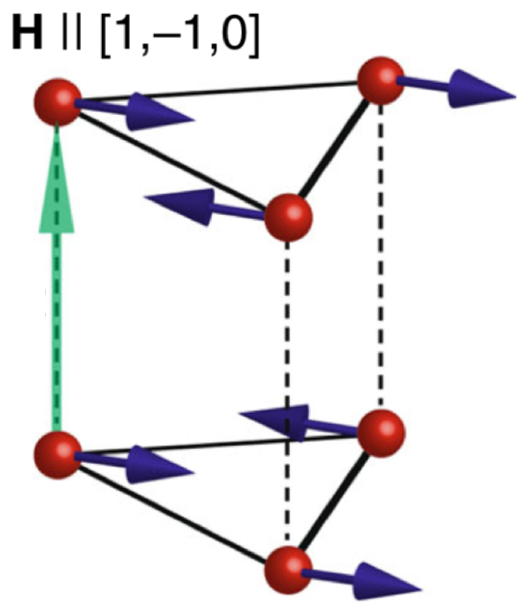 Their neutron scattering experiments and computer simulations revealed a hidden magnetic order in the canonical frustrated magnet Gd3Ga5O12. 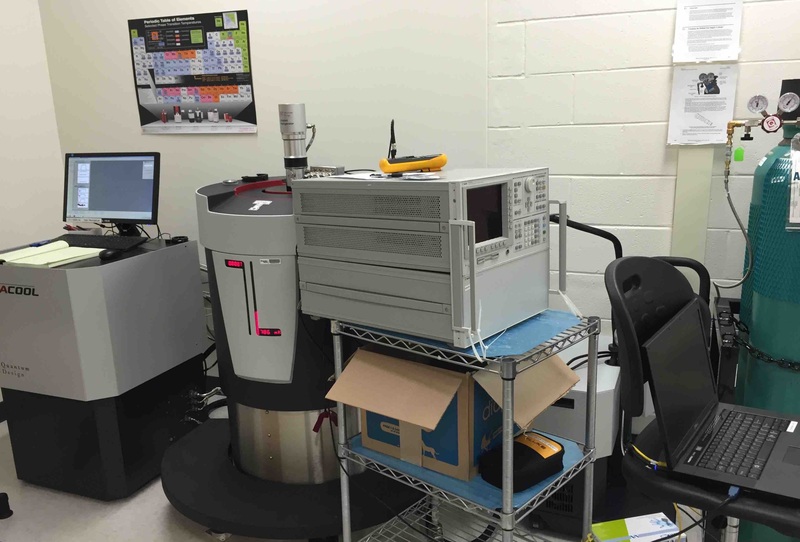 A Quantum Design cryogen-free measurement platform (PPMS) is now operational in the lab! This instrument allows to measure thermo-magnetic properties of materials such as heat capacity down to a temperature of 0.05 Kelvin and magnetic fields up to 14 Teslas. 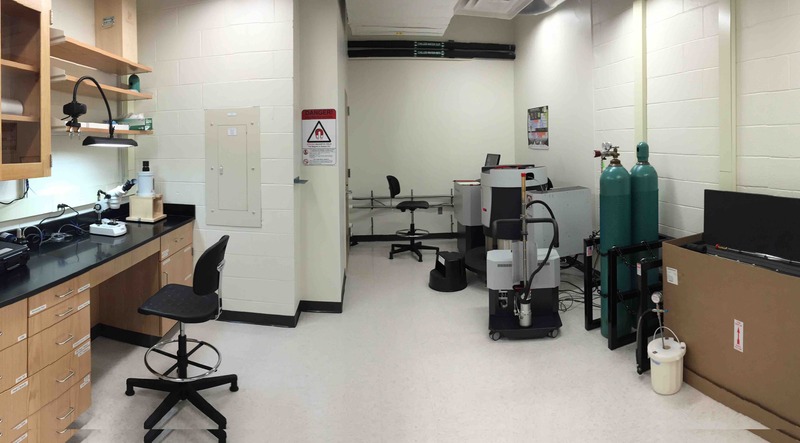 Please visit our Lab Tour page for more information about the lab and its equipment. 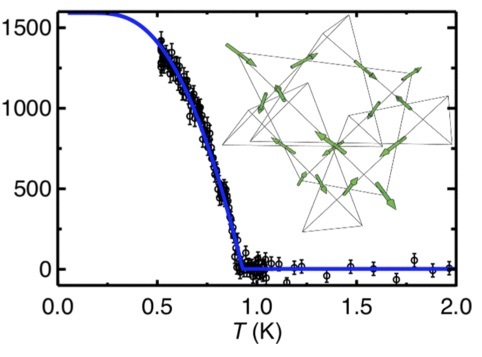 Results on the pyrochlore iridate Pr2+xIr2−xO7−δ are published in Physical Review B . High-resolution neutron scattering and muon spin rotation experiments indicate Pr2+xIr2−xO7−δ hosts a subtle form of spin-ice order. 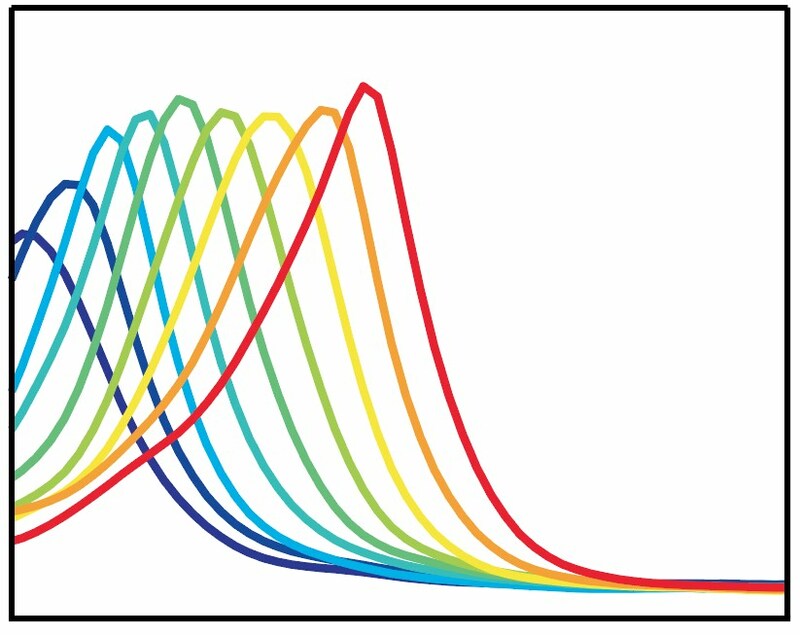 This magnetic state is static at the nanosecond time-scale but fluctuates at the sub-microsecond time-scale. This supports experimental and theoretical suggestions that Pr2Ir2O7 lies close to a quantum critical point. Recent neutron scattering experiments reveal exotic spin-orbital magnetism in BaFe2Se3, a low dimensional magnet related to the iron-based superconductors. 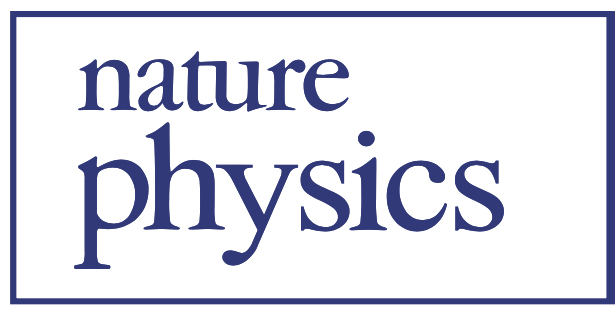 This work, performed with collaborators at Johns Hopkins University and Oak Ridge National Laboratory is published in Physical Review Letters. Dr Joseph Paddison joins the group as postdoctoral fellow. Joseph obtained is D.Phil. in Chemistry from the University of Oxford, working jointly with Andrew Goodwin and Ross Stewart at the Rutherford Appleton Laboratory's neutron source. 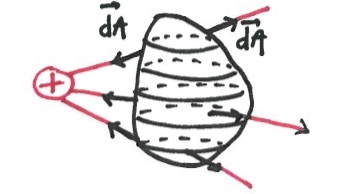 Joseph performed ground-breaking work on diffuse scattering in frustrated magnetic materials for which he developed the computer program SpinVert. Luwei Ge, graduate student in the group, performed his first neutron scattering experiment last week. The experiment took place on the MACS spectrometer at the NIST Center for Neutron Research in Maryland. Looking for exotic spin excitations in a frustrated magnet, the successful experiment involved temperatures below 100 mK and a magnetic field of 11 T, delivered expertly by our NIST collaborator Dr Jose Rodriguez, pictured here with Luwei. Welcome to graduate students Xiaojian Bai, Luwei Ge and Geoffrey Laughon who are joining the group for the Spring Semester of 2015. 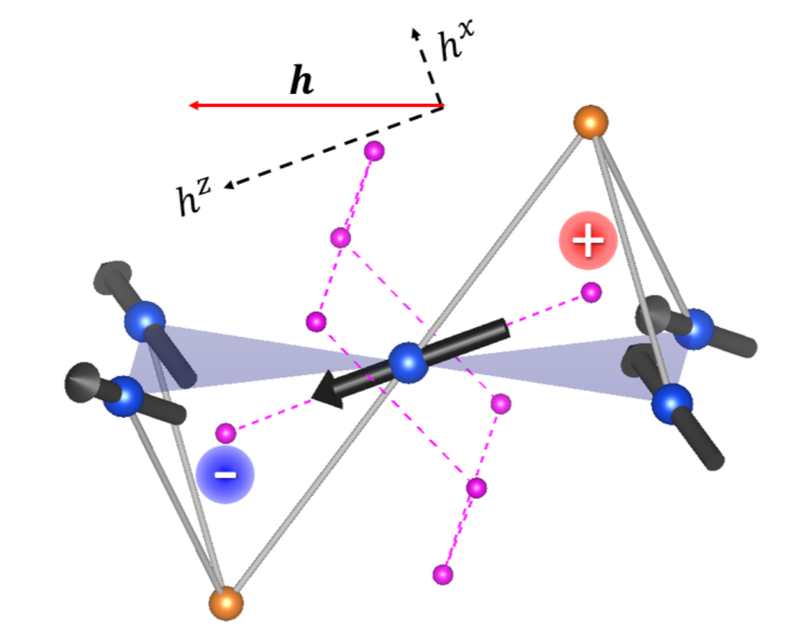 New results on the square lattice Heisenberg antiferromagnet with B. Dalla Piazza, H. Rønnow and collaborators published in Nature Physics! See also the News and Views by F. Becca and S. Sorella. We have an opening for a postdoctoral position in the group. Please see the following job ad for more details. Current students at Georgia Tech are encouraged to contact us if they are interested in joining the group. Website launched! 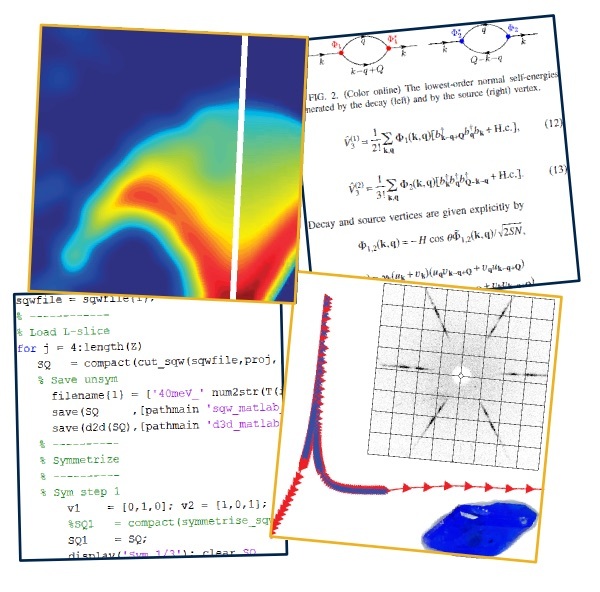 Our research group will start operating at Georgia Tech's School of Physics from January 2015.